AncestryLibrary.com, a limited library-edition subscription to Ancestry.com. ONLY ACCESSIBLE AT EITHER LIBRARY BRANCH. The Crawford County Library takes the preservation of its community's history seriously and strives to be a vital resource for those interested in doing the same. For more general information about what we have to offer or information about the weekly Genealogy Group, please call (989) 348-9214.
for a wide variety of subjects. 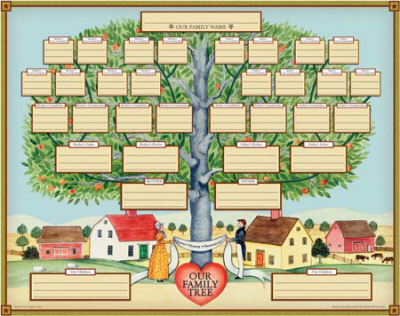 The Genealogy Group meets every Monday @ 9:00 a.m.
Bring your research and further the documentation of your family's history along with others sharing similar goals. Spend a few hours in a group setting with volunteers and local community members willing to point each other toward new sources that may uncover those stubborn missing pieces. *Any research info and materials you have already accumulated for your project. *A pad of paper, writing utensils, and a binder or folders for organizing are helpful. *A laptop, if you have one, although computer access is generally available if needed. *A flash drive if you'd like to store your information without printing.